Ok, so the new visibility system was all well and good... until I had to sit down and write clear rules for the terrain effects. Block city. If the rules are too weird/complex for me to easily figure out clear rules for, then it indicates a problem. So I'm taking the weirdness down a notch, and de-coupling the visibility of a target more from the terrain Evasion modifiers. In a hybrid of the old and new systems. Visible targets are what you can see and shoot at. Though when you're falling back, you only have to run from enemy units within your Awareness range. 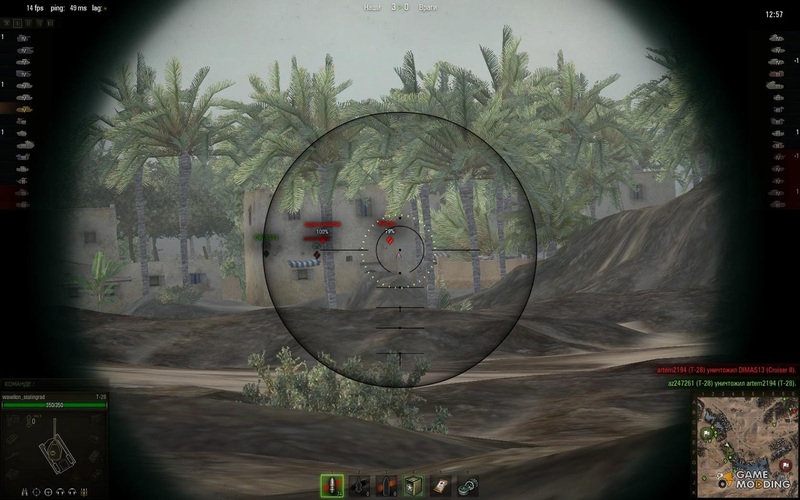 Hidden targets can't be seen or targeted unless they fired (or are spotted by recon). Blocked targets can't be seen or targeted at all because LoS is blocked by impenetrable (to bullets) terrain. Regardless of what they do. Awareness (Aw) is standardized across all units in the game, and depends on what kind of terrain you're trying to look through. Note that none of these define any additional Evasion modifiers by themselves. There's only the single +1 Ev for being beyond Awareness range. Which we'll call a difficult target. Targets within Awareness would be called (for the lack of a better term) 'easy'. Soft Cover would be any woods, field, bog, hedge, etc. Stuff that makes you harder to see, but doesn't stop bullets. Hard cover would be any wall, structure, or hill (behind, not on top of). Rubble too. These make you harder to see AND stop bullets. Some terrain would be both soft and hard cover. Blast Weapons would ignore soft cover, but not hard cover. Flame/Gas weapons would ignore both. Ryjak suggested that hard cover increase a unit's armor save, but I think that increasing toughness is the way to go. This comes from my experience playing World of Tanks. Where's it's not so much that targets behind hard cover can't be hit, but that the parts of them you can hit aren't all that vital. You can hit the top of their turret (bounce), or the track. But you can't get a good damaging shot at their center of mass, where the ammo/fuel usually is. Gone to Ground would do two things. First, you would get +1 to your Evasion. Second, GtG would make easy targets (within Aw) difficult, and difficult targets (outside Aw) Hidden. Makes Hidden units difficult targets instead. Units with Acute Senses can fire at hidden targets. This doesn't lift GtG for other units, like recon does. It just lets them shoot at a hidden target. Note that GtG units will become difficult targets when spotted, but keep their +1 Ev for being GtG. So you can see them, but they're still harder to hit than if they weren't GtG. Instead of moving or shooting, recon units can 'spot' a target with a special shooting attack. If they succeed, the target is 'marked' for all other units in the strike force that turn. A marked unit cannot be hidden. Though it can still be blocked behind impenetrable terrain. Marked units have their concealment reduced by one level. So concealed units become obscured, and obscured units become exposed. Models (and off-table support) with the Indirect Fire rule can, with some restrictions, target blocked units. But someone (recon) will have to spot the target first. I'm still working on the specific terrain type effects, but I'll throw this idea out there. Imagine that you're wanting to hit a unit that's hiding behind a house, which is blocking terrain. You can't target the unit, but you can target the house. So you try and blow up the house (which is hard, but possible with the right weapon), and turn it into a ruin (mark with a counter). Now that it's a ruin, it can be fired through. Though the target will get hard cover. Woods can have their trees blasted, turning them into ordinary (low) area terrain. Hills can have their effective height reduced. The idea being that you would be able to 'modify' the battlefield, to an extent, with things like heavy artillery or tank cannons. Though that mostly helps you against tanks, not infantry. Find Me A Word For This!